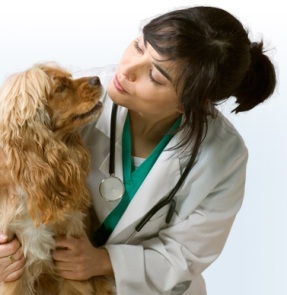 Does your company’s voluntary benefits menu include pet insurance? Believe it or not, 4 percent of employers in 2011 did indeed offer pet insurance, according to SHRM’s 2011 Employee Benefits Study. Employees who have pets may welcome this benefit, since the ASPCA estimates that “pet parents” spend over $13 billion in veterinary care to keep their pets happy and healthy. I recently added to the profit level of my own vet this weekend since being adopted by a cat last month. Bubba, as we’ve now named him, was a stray tomcat that somehow found his way to my back patio. Since my husband befriended Bubba by feeding him and letting him in at night, I wanted to make sure he was healthy, flea-free, and neutered, so off to the vet we went last weekend. Now after spending $110 for the vet visit, I now know that Bubba came from a feral cat colony that must live nearby. The vet identified him as feral right away because his left ear had been tipped to indicate he had been neutered in a trap, neuter, release program — and I had thought his ear had been damaged in a cat fight! Luckily for me, the vet bill was not a strain on my budget, but for many employees, a bill of that size or more could be devastating to their monthly budget. By adding pet insurance as a group benefit, your employees get the convenience of payroll deduction and a premium discount, typically 5 to 10 percent. Although I look at this type of insurance as a “pre-pay” plan, at least it enables your employees to budget for the annual costs of vet bills. An unexpected vet bill can cause a significant financial strain on employees who don’t have an emergency fund or that are living paycheck to paycheck so having pet insurance can give them peace of mind. If you aren’t ready to add group pet insurance to your benefits program, another option to consider is to offer basic money management workshops that focus on budgeting techniques. Pets can be expensive, but for an employee facing financial stress, a cat like Bubba curled up on their lap at the end of the day offering his unconditional love is the last thing that’s going to be cut from their monthly expenses. This was originally published on the Financial Finesse blog for Workplace Financial Planning and Education. Linda Robertson is an experienced financial planner with FinancialFinesse.com, the nation’s leading provider of unbiased financial education programs to corporations, credit unions and municipalities with over 400 clients across the country. Her focus is on retirement and tax planning, and her background includes positions with NationsBank, H & R Block, and Metropolitan Life. Contact her at linda.robertson@financialfinesse.com .